Grilled Cheese Academy! Wisconsin Cheese Blog! Readers, I have some great news for both myself and you: a guest blog and a contest with great prizes. Are you excited? You should be. Read on for all the details. As a way to promote Wisconsin Cheese’s new blog, WisconsinCheeseTalk.com, the Grilled Cheese Academy and GrilledShane, Wisconsin Cheese is launching WisconsinCheeseTalk.com with a contest for you, the [grilled] cheese lover. 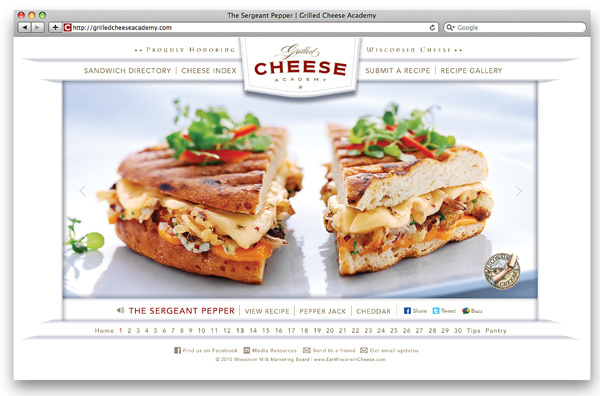 Submit a grilled cheese recipe, with photo (required), to the recipe gallery at the Grilled Cheese Academy. Contest ends May 24 at 12 a.m. CST. 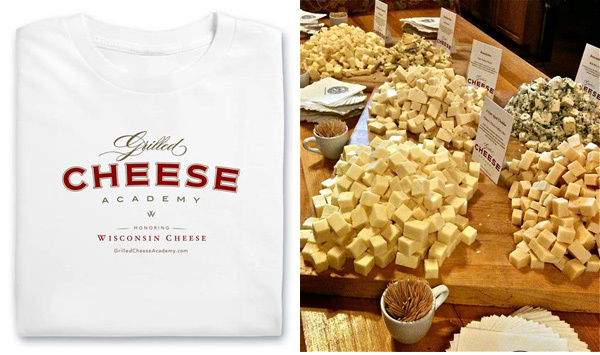 Simply follow these steps and you will be entered to win a Grilled Cheese Academy t-shirt and Wisconsin cheese package, both great prizes. I am really excited to bring this opportunity to you, the awesome readers of this site. I wish you all the best of luck. * If you are having issues obtaining a link to your recipe, simply click “Share on Facebook” when you are viewing your recipe and the web site should give you a direct link. 6 thoughts on “Grilled Cheese Academy! Wisconsin Cheese Blog! I submitted a recipe to the facebook page of The Grilled Cheese Academy. It has a picture. The recipe is also below. I hope I am submitting to the contest correctly. Thanks. Slice the buns in half. Melt the butter. Mix the butter and honey. Shred the the cheese. Cut open and peel the avocado. Slice the tomatoes. Mix the tomatoes and avocado with a touch of salt and pepper. Don’t use to much salt because the cheese is very salty. Slice the cucumber. Cut the bacon slices in half. Put the honey butter mixture on the buns. Grill the buns on a high heat for ten seconds or until grilled. Put the buns in a pan and drizzle a little more honey on each piece. Put the cheese on the bottom half of the bun. Put the avocado and tomato mixture on the top of the bun. Put the cucumber slices and bacon slices on the bottom bun. Put the top bun on the bottom of bun. Broil on lo heat with the pan being covered for 14 minutes. I used a cookie sheet to cover the pan. Uncover the pan and let top of the buns brown for 1 more minute. How does that sound? Oh sooo good! That’s Right! Gourmet grilled cheese is totally the “new panini”. Perhaps even BETTER! I’m so glad that it’s becoming such a delicious new food trend. 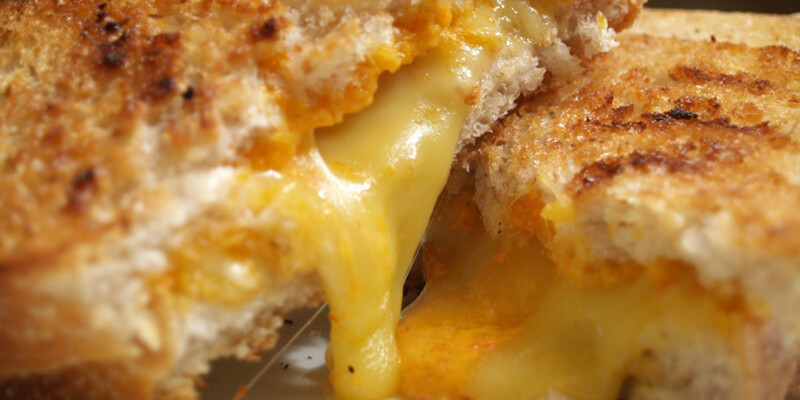 Here’s a link to my recipe on the Grilled Cheese Acadmey website. 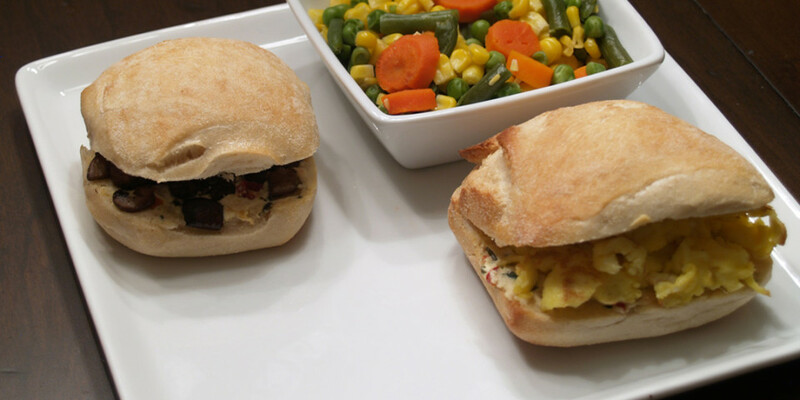 It’s an Italian Grilled Cheese Sandwich called, “Italiano Formaggio alla Griglia.” Enjoy! I am a TOTAL cheese lover (which is just one reason why I dig your blog.) So how jazzed was I to see you hook up with the Wisconsin Cheese people (little known fact: I am from Green Bay)! Your the grilled cheese expert so I humbly submit my very simple ideas for your contest. Also my photos are decidedly “meh” and don’t belay the TOTAL yumminess of these little bites of heaven. Marscapone Cheese + Fresh Strawberry slices. This is good enough for dessert..a little fresh whipped cream on this would have made for a great dessert. Goat Cheese+Foie Gras Mousse. Very rich, spectacularly sinful. The mousse’s texture was really more like a pate. It could have been grilled, it was so firm. Halloumi + Pom, Kamquat, Jalapeno, Ginger chutney (which can be found at weavethousandflavors.com): This was by far the most complex and savory and a really great foil to the sweetness in the Marscapone+Strawberry grilled cheese. I WAS a little disappointed b/c the Halloumi didn’t melt as I’d liked, so next time I’d prepare that on a thinner slice of bread. The chutney I used is very complex, but worth every second to make as its good on lots of things! Marscapone+Foie Gras Mousse: sweet and savory flavors and a contrasting blending of textures. Very interesting. 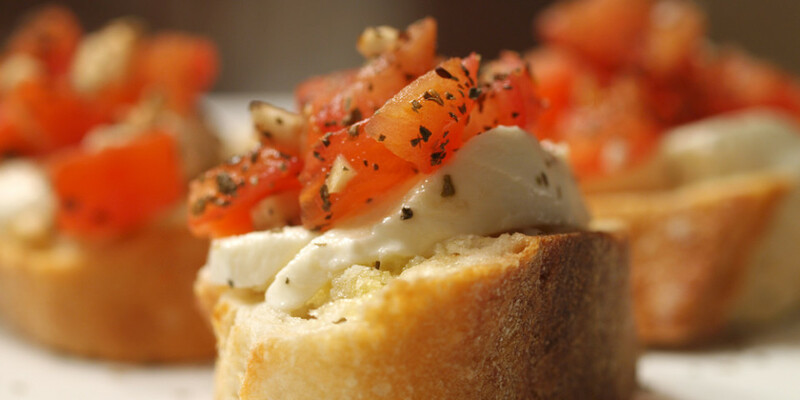 Goat Cheese + Fresh Summer Tomato: Nothing beats off the vine summer tomato, except warmed goat cheese. The perfect summer nosh. Maui Onion+Hallaumi Cheese: Maui onion is my locavore fave, but you can use any sweet onion. I slightly sautee’d them, just enough for a gentle “sweat” as I still wanted them firm. Again, this was a great sweet/savory combination. Also, our favorite recipe…Brie, Apple and Pineapple and Red Chili chutney on sourdough.